Thursday, February 19 began the Chinese year of the Sheep and Goat. Considering the Biblical significance of both creatures, current events, and the perilous times we now reside it did not seem like coincidence to me. Volumes have been written about the both creatures; I'll not seek to regurgitate the works of others but try and bring a fresh perspective. From an animal classification (taxonomy) perspective sheep and goats are identical all the way to the subfamily, they split from each other at the genus level. Sheep are of the ovis and goats of the capra genus respectively. So biologically, the creatures are close cousins, we know what we've read and watched on TV but first hand knowledge of these creatures is now reserved for farmers, so let's look at some basic facts. Perhaps, the first thing you think of when you hear, "Sheep" is that they are stupid, I was surprised to learn that this is not actually the case (Reference). 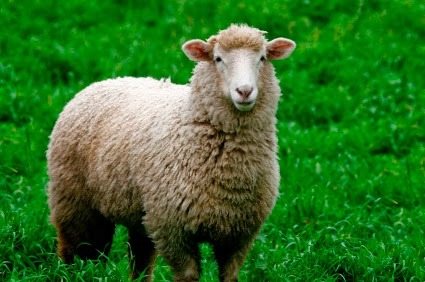 On their own, sheep are defenseless and will run from what frightens them. Their primary means of protection is to band together in a herd, even though they might not particularly like each, they are social. Sheep follow each other, sticking together in the herd. When the shepherd calls them, some sheep will respond to his voice and because of the herd instinct others will follow. Some false shepherds may try and fool the sheep by calling them but when they arrive if they are not fed, sheep will quickly perceive the trick and no longer respond to the impostor. Sheep tightly band together when they feel safe but when danger approaches they spread out and make room to run. They know their names and will respond to the shepherd when called. Sheep have excellent peripheral vision and can see 270° to 320°, but they have poor depth perception, so they can not always tell how close to danger they are. They do not like the dark and will always move toward light. Goats can be curious, intelligent, and loving creatures. (Reference) Baby goats must be watched closely as they have an uncanny ability to get lost in hidey holes or small caves. Goats are playful and the babies will jump all over their family members. They climb to death defying heights with no fear of the consequences. They seem to be much more sexualized in their mating and rituals than sheep. Females have dramatic orgasmic behavior after mating and the male buck becomes a filthy aggressive creature in the rut who urinates all over himself, including his face. 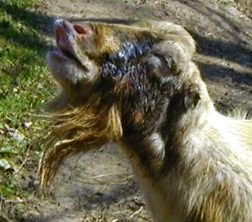 Goats relish the stench which will spread throughout the herd and into the milk if allowed to live together. Herd life is different for goats that sheep. A strong hierarchy is established in a goat herd through fighting and violence, even unto death. Newcomers are bullied and beaten up, goats take sides to determine the outcome. Herdsman may try to quell this behavior but it is inherent in them and can not be stopped. In agriculture, the shepherd uses his dog, whom the animals view as a predator to control them through their herd protective instinct. There is no mention of Jesus' sheepdog - he does not use a predator to control us but calls to us by name and expects us to listen to his voice. Only false prophets and evil leaders must always have an enforcer to keep the flock in line. The maniacal Muslims that kill over cartoons are a good examples of these wicked beings. In Scripture, we have the Sheep and the Goat Judgement. That is often confused with the Rapture of the church, but if you look at it carefully, you will see that it takes place at the beginning of the Millennium just after the 2nd Coming. In context, Matthew 25:31, is clearly the Second Coming, note that he is coming in His glory to sit on his throne. 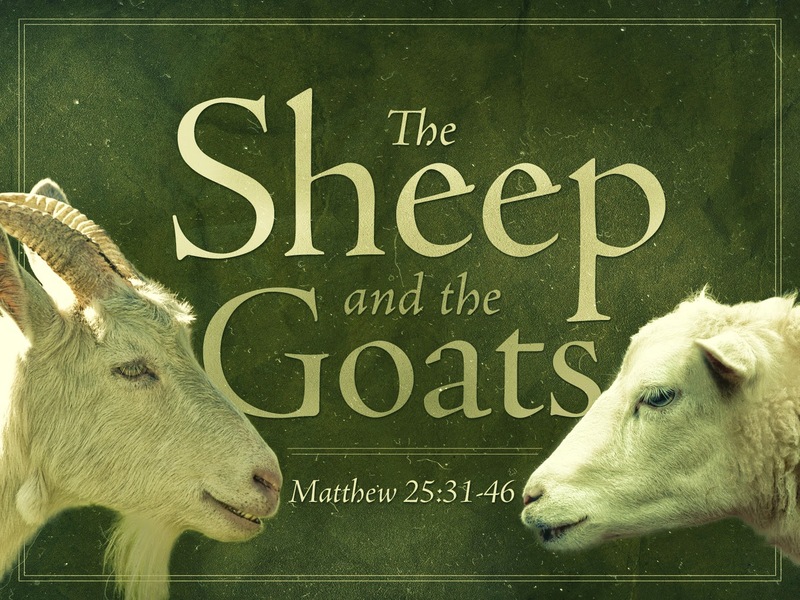 The Sheep and Goat is a dual judgement of individuals alive after the Tribulation and the nations, with the wicked people and nations (goats) being cast aside and the sheep being welcomed into the kingdom. The church of Jesus Christ worships the Lamb of God; conversely, the church of Satan uses the symbolism of a Goat but the object of their worship is anything but a goat - he is the viper, the serpent, the evil one who counterfeits all from the Living God. So in the end, even now there are only two kinds of people on the earth the sheep and the goats. In closing, I find it interesting that the Chinese calendar would deem this the year of the sheep and goat. The Lord is coming soon and He is not stranger to judgement between the sheep and the goats. As we are in this age of grace, do not be a goat, for nothing will change you to a sheep once it is too late. Seek Jesus as your Savior now, so that you might not hear, "Depart from me, I knew you not." The top of the refrigerator, over the range microwave, and kitchen cabinets - grease particles and house hold dust combine to make a nasty layer of goo. 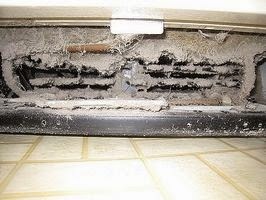 The vents over your range and the mystery vent inside the microwave - again grease and goo. Under the beds - at least once every six months. 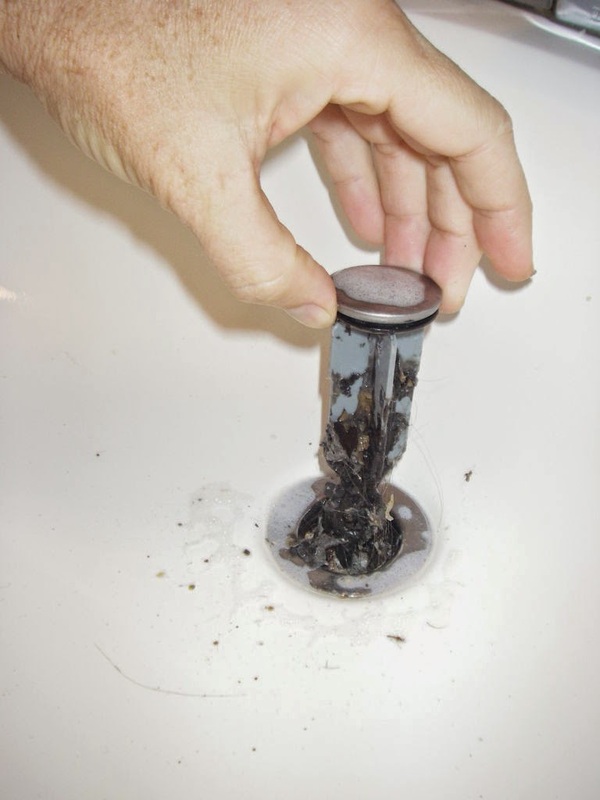 Bathroom sink drains - if you've never done it, be prepared... you may need to release the drain under the sink to pull out the plug. Bathtub overflow cover - just too vile to even discuss... moving on. Toilet bolt covers - those plastic covers on the seat and the floor, yeah they are disgusting if you lift them up. There you go, Friends. I'm vaguely nauseated now. There are thousands of articles on the internet about interviewing, techniques, and ways to prepare for a meeting with a prospective employer. This is not one of them, this is simply a collection of anecdotes and perhaps some interesting insights that are not the same ole same ole. You showed up too early - while some might appreciate the eagerness, I do not. Corporate cuts have eliminated the receptionist in most small to medium offices. This means that the person you are interviewing with is the one that will be called to greet you at the door and get you settled in. A good executive prioritizes their tasks and runs a tight schedule. If the prospective employee shows up 15 or 20 minutes early, they may put unnecessary pressure on the person they are interviewing with. Small and growing offices may have expanded into the "lobby" and "the conference room" and there is no true place for the interviewee to sit and wait. It's a good idea to arrive early but stay in your car until just a few minutes before you are supposed to meet with the hiring authority. You peed on the seat - I swear this happened. The candidate was not hired. You did not follow directions to the facility and then called the interviewer to walk you through them because you were late and lost - I really don't even know why I sat down with this person when they finally made it to the office. Our office was a bit difficult to find on a GPS, so I explained that in an email to the candidate and told them to follow these simple directions, they did not. The candidate was not hired. 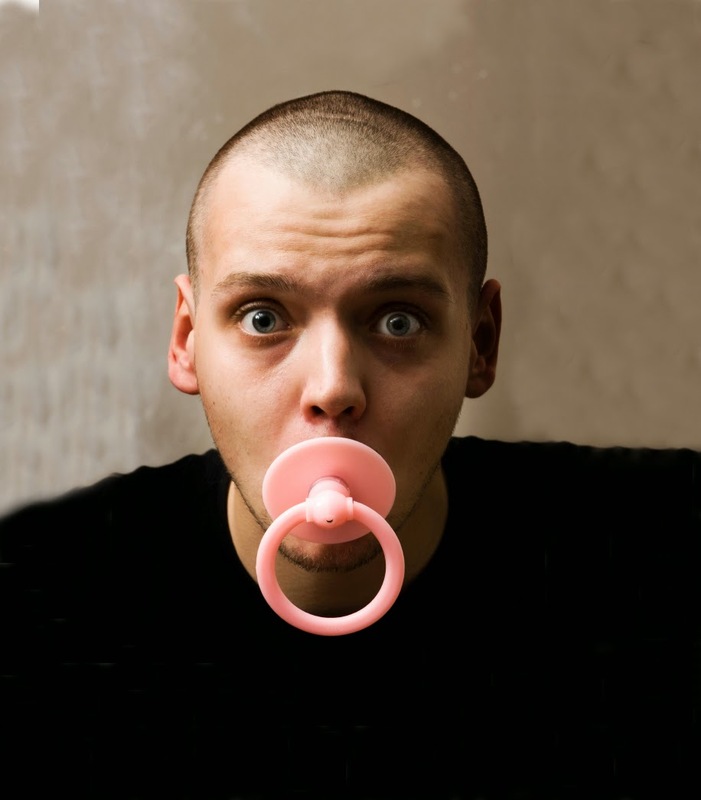 You spoke negatively about your old job/boss/co-workers - an interview is not a complaint session about your current or former situation - blaming or deflecting blame is a big warning sign. You kept trying to fill in your ideas about the job you were interviewing for instead of listening to the need and requirements of the position - just because the title is same, it does not mean that the duties and expectations from one company to the next are. Eagerness to demonstrate your qualifications is one thing but constantly going into specifics that don't apply the current position is a big no no. There are dozens of other reasons but I suspect they have been covered ad nauseam . These are a few interesting tid bits to help along the journey. Abigail and Dolley readers for a nice change of pace, let's look at the current mindset of corporate America. Keep in mind, big business by and large is now completely dominated by leftists. They are running companies the way they run government - from the top down. They have embraced the "economy of scale buys efficiency and cost saving model" with a reckless abandon. Ignoring lost revenues, lost business, low customer satisfaction, and low employee morale they venture forth adding more and more layers of bureaucracy and processes. Ivory Tower executives double down on failure and assert it is the people, the customers, and the soft markets fault - never stopping to consider that their MBA inspired plan is wrong. It started with the destruction of the Branch Manager. At one point, being a Branch Manager was the best job around. They were captains of their ships, miniature CEO's, empowered to make money for the company, take care of the customer, and attract the best talent. Capitalism at it's finest. Market pressure would drive quality and the best and the brightest would make themselves and their company a handsome profit. Influence by socialist university professors and executive MBA's, the Branch Manager's pivotal position has been largely eliminated or reduced in power to be completely ineffective. It is destroying American Capitalism. The below is contributed by my friend and guest blogger, Abigail. I know you will enjoy this insight. "Jesus Will Come To Us Like Rain"
The Pre-tribulation Rapture in relation to The Feasts of the Lord. 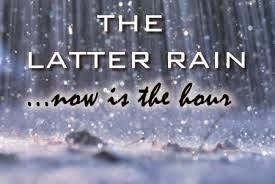 Joel 2:23 "Be glad then, ye children of Zion, and rejoice in the LORD your God: for he hath given you the former rain moderately, and he will cause to come down for you the rain, the former rain, and the latter rain in the first month." This tells us our Messiah will come as the former rain (Spring feasts) and again as the latter rain (Fall feasts). The prophet Joel tells us this events will occur in the first month. ***The month of Nisan is the first month of the religious calendar. ***The month of Tishri is the first month of the civil calendar. ***These first four feasts have been fulfilled by Jesus. There are three interesting subjects here: The Six Day War, 49 years, and Yom Kippur. Being an American Christian, I didn't know much about any of these. I doubt I am alone, perhaps you are in the same boat as me? There is something there, some reason that this is important! Let's see what we can find out together. The Lord works in patterns, he holds to timelines, he is not random - from the foundations of creation his orderliness is observable. From the precision math demonstrated in the perfect tilt of the earth, the perfect distance from the sun, the perfect size and orbit of the moon to the subatomic structures of all atoms - we see his hand. He also does not operate in secret, a retrospective study of Scripture reveals that he has always told us what is to come, always. There are types and shadows and prophetic warnings throughout Scripture that only a backward glance reveals their truth. Since he is the same yesterday, today, and tomorrow - it should come as no surprise that he has laid out for us the pattern and timing of his coming. My long term readers will be familiar with my work on this subject, from the The Harbinger Continues, to the Blood Moons, to the Rosh Hashannah Rapture, to the Days of Awe, to the Convergence of Signs - I invite you to read and study those works for it will give you a foundation to understand the timeline of events that could manifest in our lifetimes. Many of the items I am listing below completely fleshed out, sited, and backed up with Scriptures in the previous works. The Prophet Daniel writes that 70 weeks are set aside for Israel. All but one are fulfilled, one remains. The last 7 years, the time of Jacob's trouble, the 70th week, the Tribulation - this event is foretold and set aside for the judgement of the nations and for the restoration of Israel. The great and terrible time of the Lord and woe to the inhabitants of the Earth. The 69th week ended when Messiah was cut off, the exact moment and hour that that occurred is obscured from history. - debate continues on exactly when that date occurred. Careful study of the facts and dates indicate that Jesus was crucified somewhere between 27AD to 33AD. The prophetic clock stopped - the time of Israel paused and the church age began. What date would that have been? Was it the moment that the Lord died and the temple curtain was torn? How about when he was raised? Could be when he Ascended to Heaven or even Pentecost? Any time in that 40 days could be THE date when the clock stopped, I can not say for certain but I CAN tell you without a doubt that sometime in the future, on that day, the Jews will sign a peace treaty with Anti-Christ and the clock will start again. Abigail and Dolley was never intended to be much more than an outlet to write about whatever was on my mind at the time. At the launch in 2009, I did much of what new bloggers do to build a following but quickly realized that building a blog is like building a business, and I have one of those. So over the years, I shared with you what was on my heart not focusing on the stats. Recently though, I feel like God has been teaching me and giving me revelations about His word that are important. This is frustrating because, while loyal, the audience I reach is small. I am small. In the world of Bible teachers, I am the definition of a nobody. I don't even teach a Sunday School Class. There are no women teaching eschatology. My influence in this world is limited to a few people, even people that know me and love me, don't understand what I teach - they don't walk the same path, and if I've heard once, I've heard it a hundred times, "I'm just not that deep, Dolley." I feel as if I am going to explode with these new revelations and there is nobody to share them with; I miss my Dad. Tonight, troubled in spirit, I sought the Lord on a walk - seeking what He would have me do. Questioning if I am doing what I am supposed to do. Asking if there is something more that I should be doing and am not - most of all, questioning why me? Why show me things in His Word and then have 15 people read the most important posts of my life? What do you want me to do? I seemed to have more questions than I was getting answers. Then, I walked by a tree in my yard. I'd taken a picture of it yesterday. It reminded me of a story: one day, after my Dad had moved into his new house, we were shooting baskets. I asked him what kind of tree was by his driveway. He laughed, said he had no idea but that those cool fuzzy buds looked promising. 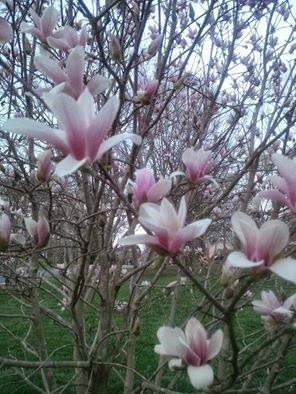 It turned out to be a tulip magnolia. When we moved in this house he gave me one. I felt Him whisper in my heart, I can change things in a day. I can bring forth all the buds in one moment. I realized then, that I was called to keep blogging, to keep teaching, to keep writing, and to leave the day of the blossom to Him. 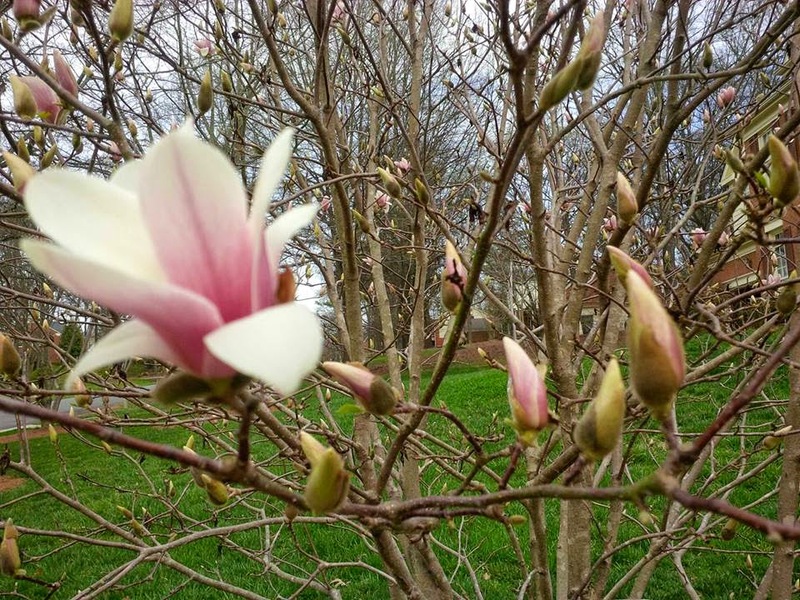 In our lives, we often look around and see buds everywhere but it's God that brings forth the flowers and the fruit. What Does it Mean that Satan is Prince of the Power of the Air (Ephesians 2:2)?" “And you were dead in the trespasses and sins in which you once walked, following the course of this world, following the prince of the power of the air, the spirit that is now at work in the sons of disobedience” (Ephesians 2:1–2). In this text the apostle Paul describes Satan first as a “prince” with power, because he has authentic power in the world (1 John 5:19). This power has been given him by God (Luke 4:6). Satan has power over some illnesses (Luke 13:16; see also 2 Corinthians 12:7—it’s unknown if Paul’s “thorn” was an illness or something else). In some sense, Satan has power over death (Hebrews 2:14). The reason Satan is called a prince rather than a king is because there is only one King—Jesus Christ (1 Timothy 6:15). Satan also has power over some people. The “sons of disobedience” referred to in Ephesians 2:2 are those who have not trusted Christ as Lord and Savior (cf. Acts 26:18; 2 Corinthians 4:4; Revelation 13:12). The demons are also under the rule of Satan (Matthew 12:24), and one of his titles is “prince of demons” (Matthew 9:34). Satan has a kingdom (Matthew 12:26) and a throne (Revelation 2:13). Satan is called a prince because he is a ruler and possesses power to manifest evil in the world through influencing people and commanding demons. “The air” in Ephesians 2:2 may refer to the invisible realm above the earth where Satan and his demons move and exist. This space, of course, is the location of the earth’s atmosphere or “air.” In Ephesians 6:12, Paul writes, “We do not wrestle against flesh and blood, but against the rulers, against the authorities, against the cosmic powers over this present darkness, against the spiritual forces of evil in the heavenly places.” This evil realm called the “air” could be an actual locality, but it could also be synonymous with the “world” of John 12:31. This whole world is Satan’s domain (Matthew 4:8–9). Although Satan has power and authority in the current world system in which we exist, his power is limited, always under the sovereign control of God (Job 1:12), and it is temporary (Romans 16:20). God has not revealed all of the why’s and when’s concerning Satan’s rule, but He has made it clear that there is only one way to escape the power of Satan’s dominion, and that is through His Son, Jesus (Acts 26:18; Colossians 1:13–14). It is Jesus who, speaking of the impending cross, declared victory: “Now the prince of this world will be driven out” (John 12:31). The other day, I was driving and praying... but was I really? Out of nowhere, the Lord interrupted me with an answer. I was shocked. My prayer time that day was a monologue; a one sided conversation where I did all the talking. Why was I startled when the Lord answered? I couldn't get this out of my mind, I kept reflecting back on it and realized that perhaps there is a bigger picture to paint. As the body of Christ, why do we give each other "the look" when someone says, "Well, I was praying and the Lord spoke to me....". Why do we hesitate to share with one another when the Lord speaks to us? When did we accept that prayer is a monologue? Is it because, somewhere along the line, we stopped expecting to hear from God? Perhaps it is because He just stopped saying "No" to a certain prayer we keep praying hoping He will change His mind? Maybe it happened when we were little and some unthinking adult squashed the expectation we had that God would answer? Or possibly, in our hearts, we are not quite sure He is there so we would be closed to any answer He might give? Whatever the reason, each believer needs to ponder this. What's your prayer life like anyway? Are you a baby praying the same way you prayed as a 5 year old? Does your mind wander to the grocery list, the errands, and what to cook for supper? Has it become a duty and an obligation on your daily checklist? Or are you just so far away from the Lord you don't even talk anymore? It's time to get serious about this; it's time to pray. We have but one offensive weapon in this war we are in, "The Sword of the Spirit, which is the word of God." We don't wield it effectively or often enough. I beseech you faithful readers, find a group of people to pray with corporately. Change your dead routine, step in faith, go deeper, and expect God to answer. After all, He would like to get a word in edgewise.